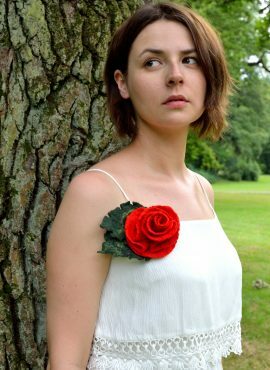 Cherry blossom brooch in a shape of a tree branch with pink flowers. 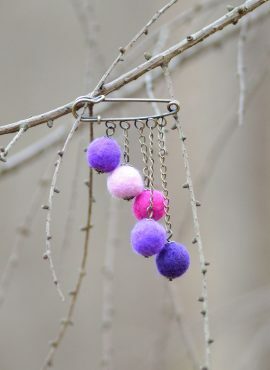 This rustic pin looks just lovely and will give your outfit a sweet touch. 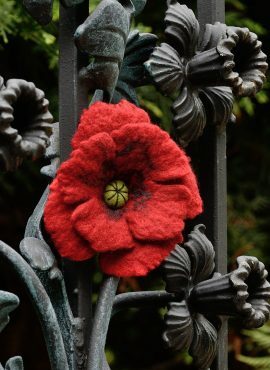 Felted poppy brooch in small size made of red merino wool. 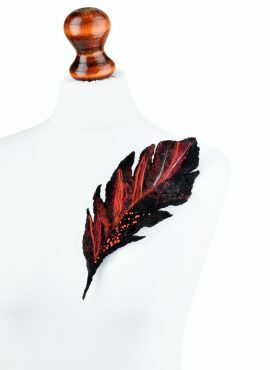 You can easily pin it to your blouse, dress, bag, or even attach it to your headband or bracelet. 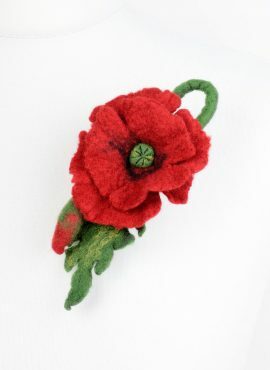 This felt poppy brooch is a beautiful piece of romantic jewelry. 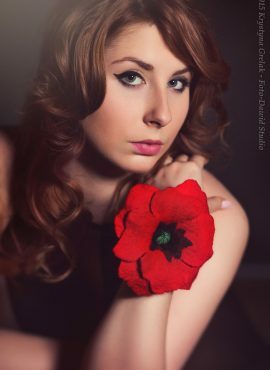 With its red color and feminine flower it will catch men's eyes wherever you go. 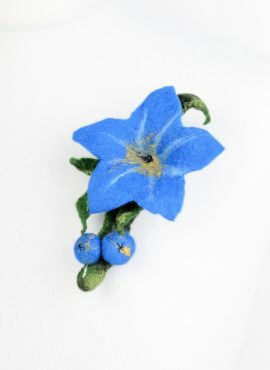 Blue felt brooch with flower shape and fancy blue petals. It looks fresh and tropical. 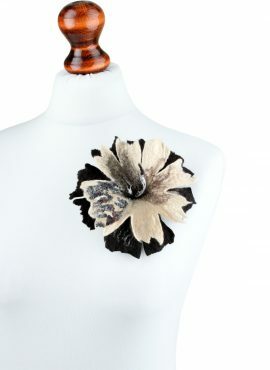 You can attach it anywhere and it will give your outfit an original look. 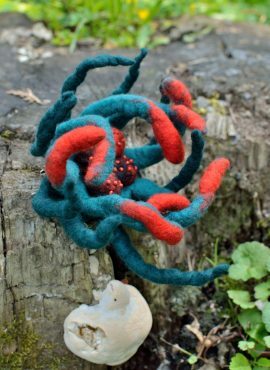 Felted wool brooch designed for women who love meadow flowers. 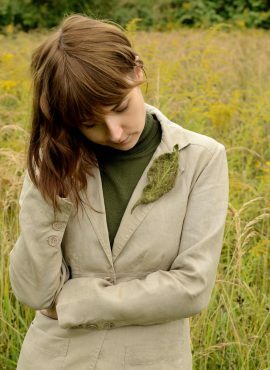 You can wear it all year round to express your vital nature. 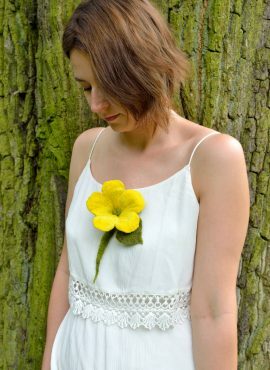 Felt sunflower brooch made of soft merino wool in yellow and green. Perfect for women, who are optimists and have positive attitude to life. 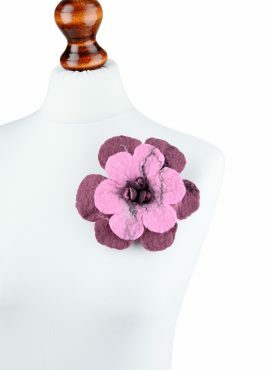 Magenta felt brooch perfect for romantic women. 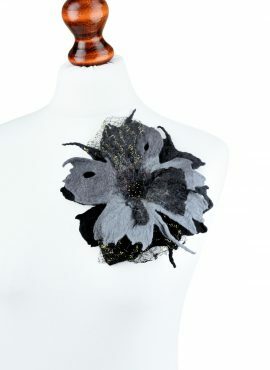 Its sensual colors will make you look self-aware and feel more confident. 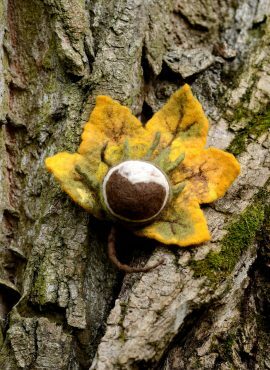 Brown felt brooch with flower shape and beautiful coffee colors. 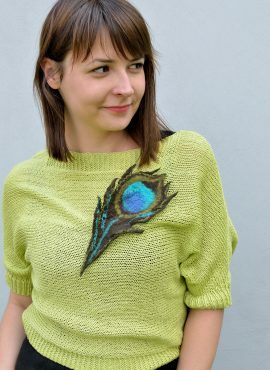 It will look lovely with natural fabrics and gently complete the colors of your beige outfits. 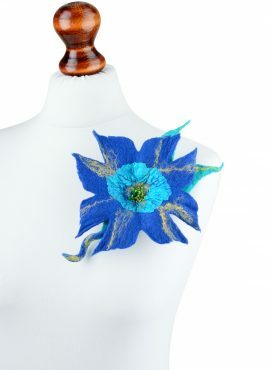 Fiber flower brooch perfect for women, who love sunny jewelry. It is very optimistic and can be your ray of sunshine both in the winter and summer. 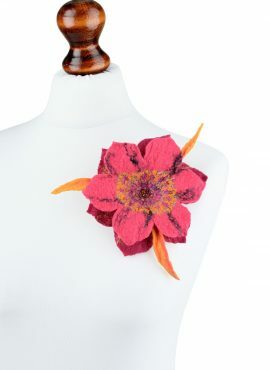 Pink felt brooch inspired by Bollywood style. 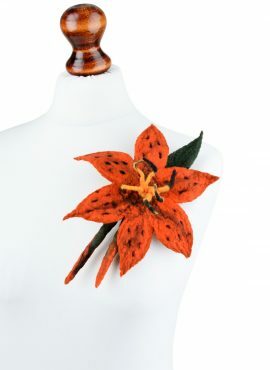 It is vivid and exotic and it will always attract attention and curious glances. 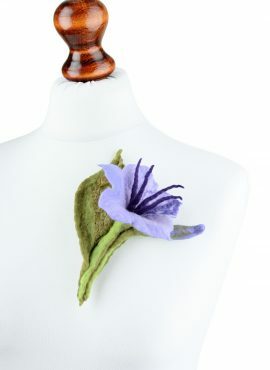 Felted lily brooch designed for romantic women. 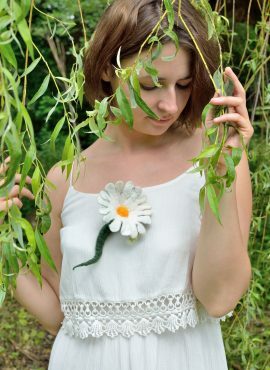 It will let you express your nature, giving you a beautiful look. 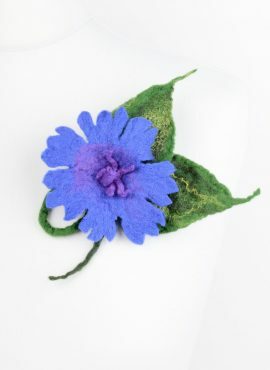 This purple flower will be a perfect gift for every occasion!